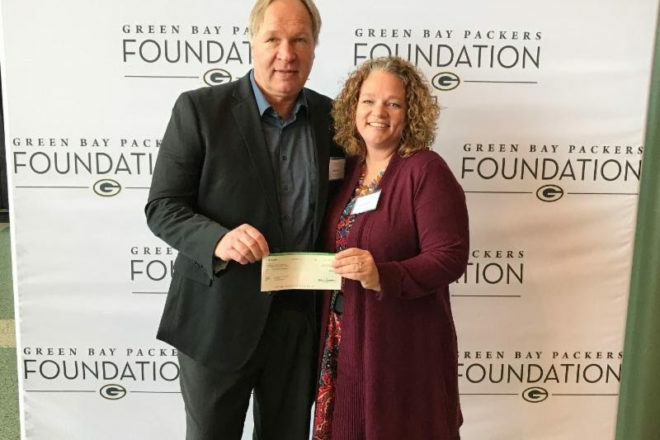 (Left to right) Dave Maier, Northern Sky managing director; and Holly Feldman, Northern Sky development director, with the Packers Foundation grant. Submitted photo. 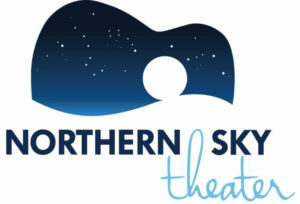 Northern Sky Theater received a matching grant of $11,000 from the Wisconsin Arts Board (WAB). This grant supports Northern Sky’s commitment to writing and developing new musicals tailored for the company’s multigenerational audiences. Northern Sky Theater also received a grant of $5,000 from the Green Bay Packers Foundation. This grant supports the development of Northern Sky’s new musical Dad’s Season Tickets, premiering in the fall of 2019. Dad’s Season Tickets, written by Matt Zembrowski, is a nostalgic musical celebration of family, folly and the Green Bay Packers. The fall world premiere will be performed at Northern Sky’s new Creative Center, with an extended run through the end of October.